In the bonus offers section there is a bonus that we used to see many years ago from lots of different airlines. In an attempt to have members try out a new feature or benefit, loyalty programs will offer points or miles to have people adopt to the that new feature. However online check in isn't really a new feature but it does appear that TAP Portugal either has a low adoption rate or they just want to reinforce that you can check in from home or your mobile phone so they are offering this bonus! If you are flying on TAP Portugal over the next 3 or so months there is no reason why you shouldn't be getting these extra miles! (except if you are departing from one of the airports that doesn't support online check in). American Express Travel has a major hotel sale running right now! 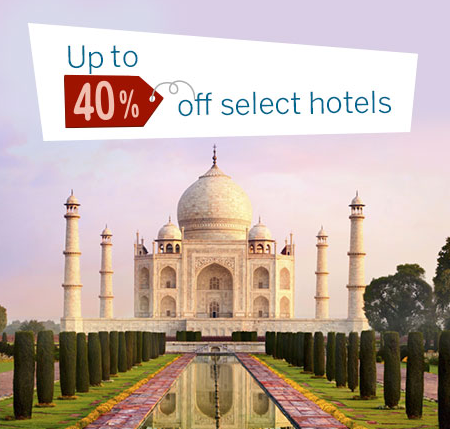 You can save up to 40% on select hotels during their Global Hotel Sale. Book by Feb 26. The beauty of booking via Amex Travel with a Membership Rewards earning card is that you will be awarded 1 additional point per dollar spent. This means on a card like the American Express Gold Rewards Card you'll earn 3 points per dollar! That's huge! Find all the details and book this offer here.